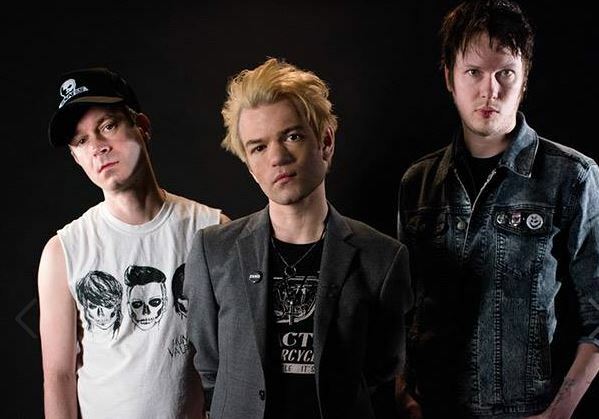 Despite the decline in popularity of the pop-punk genre, The Academy was whipped back into the nineties skate scene as Sum 41 returned to Dublin. With the hopes of promoting their upcoming album, the group headlining the Kerrang! Tour 2016, burst onto the stage with Reason to Believe, creating an electric attitude that pulsed through the venue for the entire set. Frontman Deryck Whibley entertained with his iconic punk style, preaching between songs, as well as frequently encouraging the crowd to chant and sing throughout, only adding to the rowdiness. Having been forced to pull out of the 2012 Kerrang! Tour, due to a back injury sustained by Whibley, Sum 41 were adamant that the night was to be a memorable one, playing their anthems Underclass Hero and Makes No Difference as well as covering a number of rock classsics, such as Queen’s We Will Rock You – with an added punk twist, naturally. This frenzy of sound saw the crowd break into moshing and the occasional crowd surfer venturing towards the stage. Alongside Whibley is returning guitarist Dave ‘Brownsound’ Baksh, impressing all with his widely varying riffs and solos, indulging in the chants of the crowd. The band plays some of their softer pieces such as Pieces, being met with equal enthusiasm from spectators.. A personal favourite was Walking Disaster, mixing the softer and more metallic elements of the band’s sound, while maintaining a catchy chorus, which is ever-popular within the genre. The first set ends with the group’s most popular song, In Too Deep, featuring a bellowing chorus from everyone in attendance, leaving the crowd in anticipation for more. Sum 41 don’t disappoint, returning for an encore featuring another of their anthems, Fat Lip. Whilst the show was sold out, the small size means that everyone is close to the stage, enthralled by the animated Whibley, who will undoubtedly hope the rest of the tour maintains the adrenaline that Dublin witnessed and experienced.